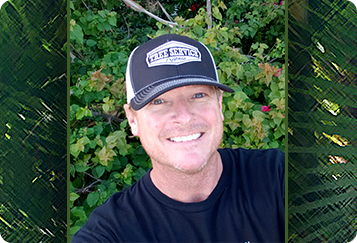 Tree Care Tips for Tree Service Express, Inc. There are far too many so called "Tree Services" running around really doing major damage to the trees. They do not know how to properly prune trees and cause permanent damage to the trees. They are spreading diseases by using tools that have not been sanitized. Most of them do not carry proper insurance like Workers Compensation Insurance. Florida does not regulate tree services. Anyone can get a license here without verifying credentials or insurances. If they have a license and insurance on their trucks now they are "licensed and insured" but that does not protect you. If they get hurt on your property and do not have WC, they can sue you. If they do not have proper GL insurance and they crash a tree limb into your home, you will be responsible for that as well. Do your homework. Not all tree services are the same, not all insurances are the same and you get what you pay for. If their prices are cheap, there is a reason. They don't have the cost of paying for the right equipment, skilled crew, safety gear and the expensive insurance premiums we have to protect our customers. Making blunt cuts anywhere on a tree is very stressful for the tree. Topping or Hat-Racking a tree is making blunt cuts across the top of each limb on the tree. These cuts will never heal correctly and will decay, inviting insects which further damage the tree and often carry diseases. The cuts will also sprout many suckers from the tips as the tree attempts to recover. These are not true original branches and have very weak attachment points. They are often then allowed to grow back into a "limb", however, since they have weak attachment points are very dangerous and prone to failure. If a tree needs to be brought down in size a proper height or lateral reduction can be performed. Topping a tree is a big NO-NO, it is bad for the tree, for your property, is hazardous, will stress the tree severely and can often lead to an early death of the tree. ISA Certified Arborists will not top a tree. Lion tailing is an improper pruning practice that strips all of the interior growth out of a tree. This does several things that are very stressful for the tree and bad for your property. A. It stimulates a hormone in the tips of the branches and in the roots causing them to grow tall, long and spindly. It also causes the roots to grow in relation to the crown which could cause structural damage to house foundations, streets, sidewalks, etc. B. It starves the tree of energy. The trees get all of their energy from the carbohydrates made in the leaves. By removing all of the interior growth, all of that potential energy is stripped away, stressing the tree and lowering its ability to break down nutrients that come up from the roots. The results are a low energy tree that has a weak immune system and is more prone to diseases and decline. C. Pushing all the growth out to the tips of the branches and causing the limbs to grow long and skinny with the weight at the ends, puts stress on the attachment points of the limbs to the trunk of the tree. In high winds, these are points where the limbs can break off of the tree, severely wounding the tree and potentially damaging property. ISA Certified Arborists will not Lion-Tail a tree.